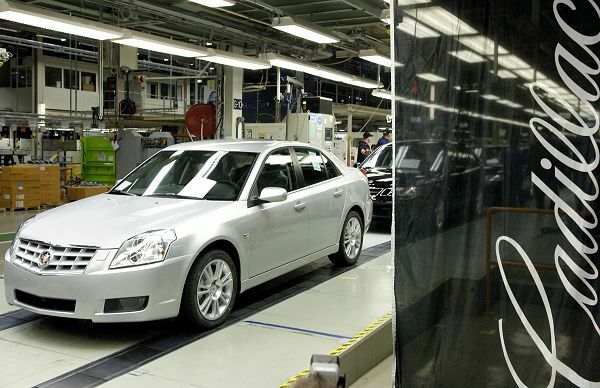 Trollhättan, Sweden – The first production Cadillac BLS luxury mid-size sedan rolled off the assembly line at GM’s Saab plant in Trollhättan, Sweden on February 6, emphasizing Cadillac’s growth in Europe and other markets outside its traditional home in North America. The front-wheel drive BLS also has Cadillac’s first turbo diesel, a 112kW unit complete with maintenance-free diesel particulate filter, in addition to 130kW, 156kW and 190kW petrol engines. The entire assembly process, from sheet-metal pressing and welding to power train installation and final assembly will be done at the 56-year-old plant, which has produced only Saabs until now. The simultaneous production of both Cadillac and Saab in the same plant required a €325-million (about R2.42-billion) investment that began in 2000, including extensions to the press shop, body shop and final assembly areas, improved materials handling systems and the phased introduction of a new paint shop. Plant director Lars Danielson said: “The Trollhättan plant must use its flexibility and ingenuity to compete successfully in such a global and highly competitive environment as the automobile business.